Thank you for expressing interest in Valhalla High School. Below you will see a few opportunities to visit the school and learn about the many academic, athletic and arts that Valhalla has to offer. We hope that you will take advantage of these opportunities when making the CHOICE to be at one of the best all around schools in the area. This showcase will include exhibits from the Academic Programs where you can meet the teachers and learn more about the curriculum offered though our core courses. It will also include examples from our Visual and Performing Arts programs. Meet instructors and students from these programs. See examples from their work and displays of the talented students we have at Valhalla. Learn about the Athletic Programs by meeting the coaches for the 26 Varsity sports that are offered at Valhalla. Find out about opportunities in these sports for the off season and what it takes to be a student athlete. Finally, Administrators and Counselors will be on site to answer questions about enrollment, school choice and other general questions that you may have. This is a spirited night that will showcase why your student would want to become a part of the Orange Nation. 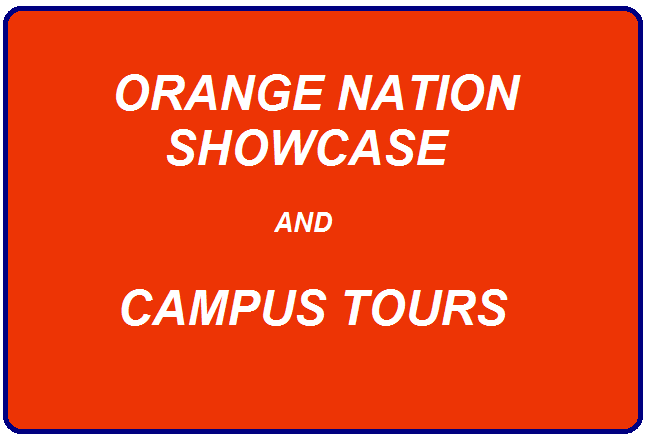 These student led tours will be offered for you to see many areas of the school, not seen during the Orange Nation Showcase. You will see classrooms, event centers, athletic venues and general common areas. The student leaders for these tours will be able to tell you about student life and experiences they have had while attending Valhalla. School Administrators will also be on hand to assist with questions about enrollment, school choice and other general questions. 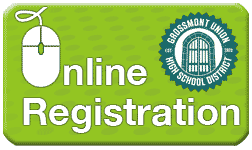 Registration for 2019-20 is available now for all students. Please click the button below to view information on how to complete the registration process and complete school choice. Families who have both new and returning students may complete one application for both students. All retuning families will complete the application through their Campus Portal account. Only the primary household guardian will have access to complete the application. Please CLICK HERE to view the instructions on how to complete the registration process and for information on School Choice. The Guidance Department will assist families with many student needs throughout their high school career. CLICK HERE to learn more about upcoming events that the Guidance Department will be a part of in the coming months.